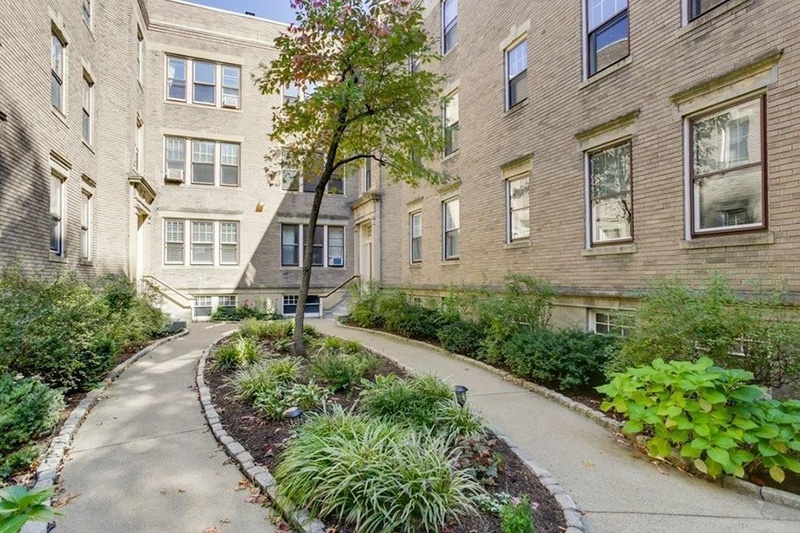 From the sidewalk, you might assume the condos in this Harvard Avenue building all look the same on the inside. 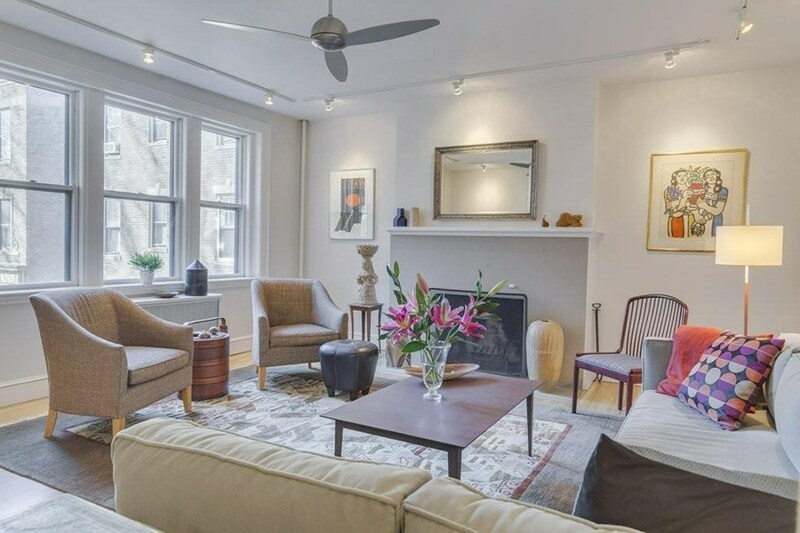 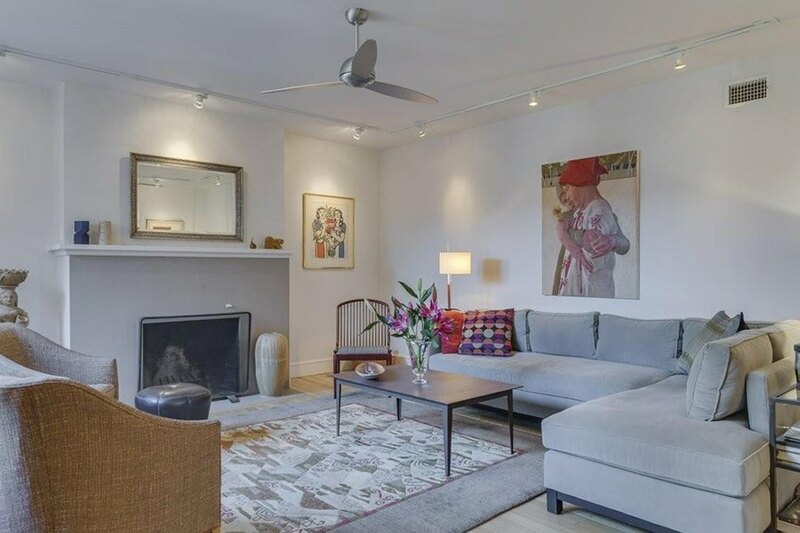 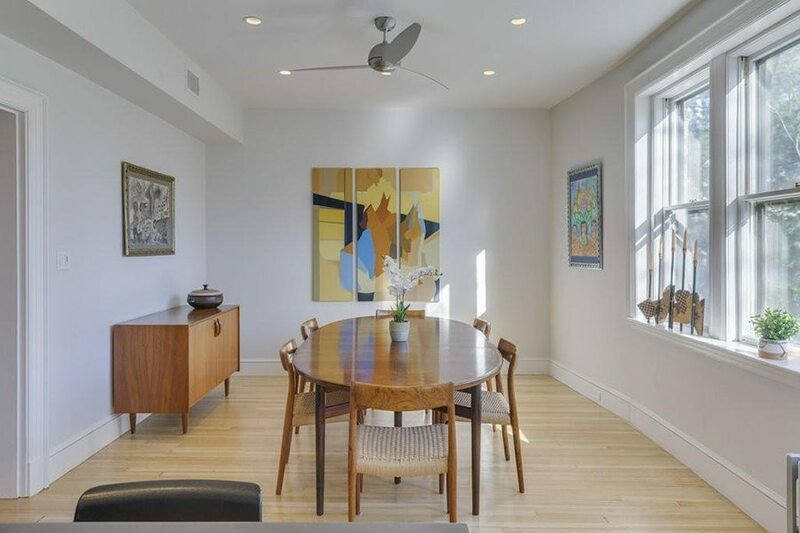 But this two-bedroom condo is not like the others—the second-floor abode has been recently gut-renovated, and now boasts an artsy, modern interior. 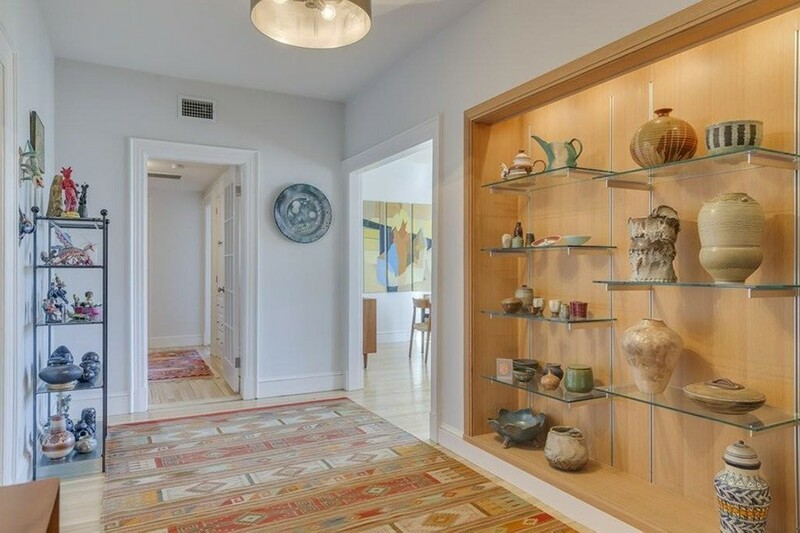 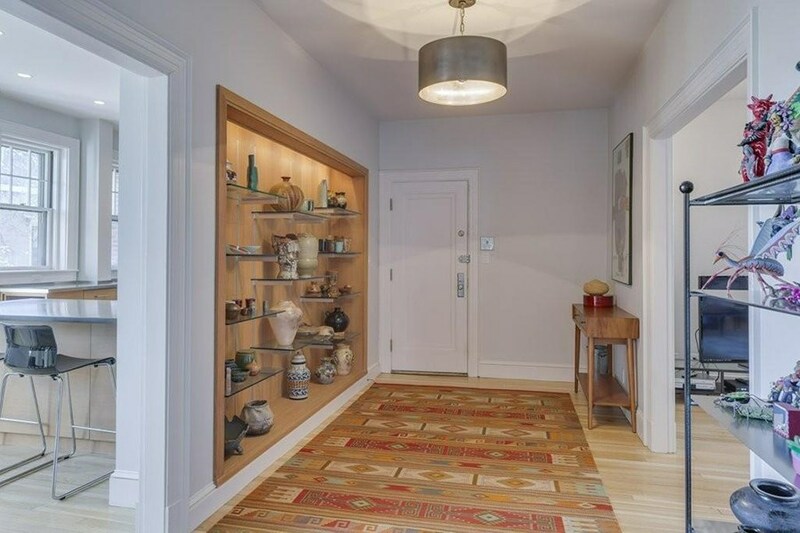 It starts in the foyer, which is outfitted with a built-in display case for exhibiting objets d’art. 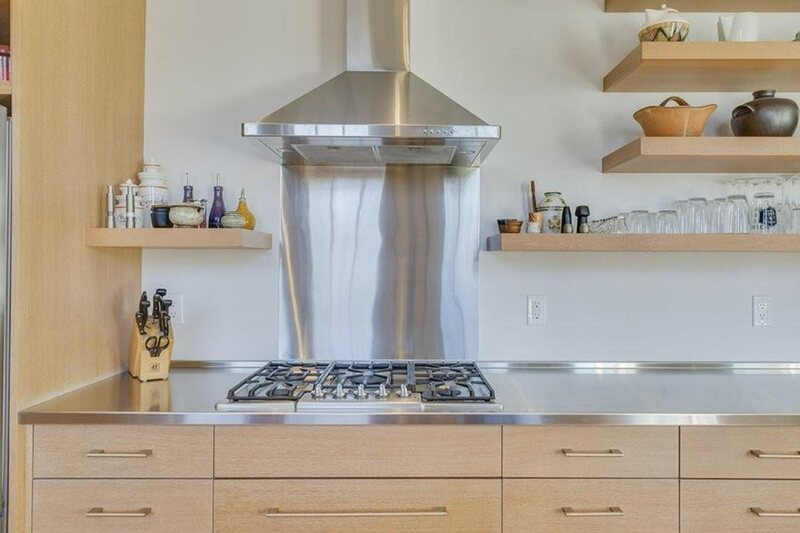 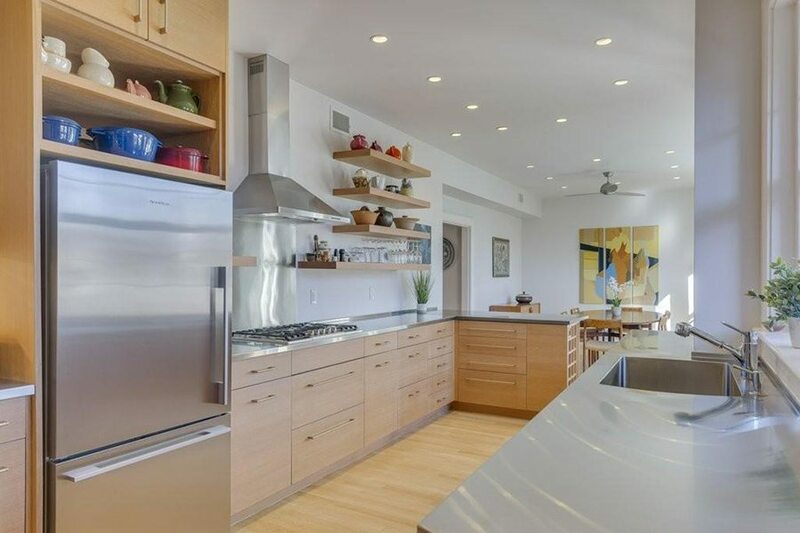 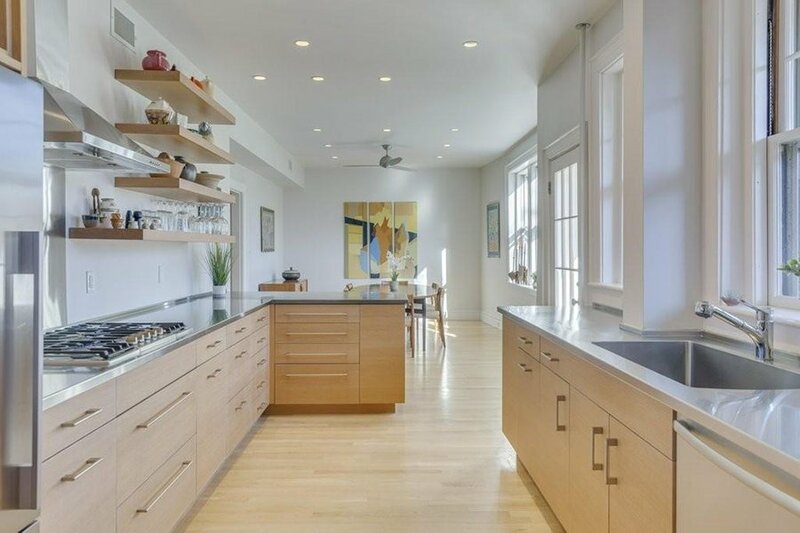 Around the corner, an open, airy chef’s kitchen features custom oak and maple cabinets, not to mention a Bosch double oven and dishwasher. 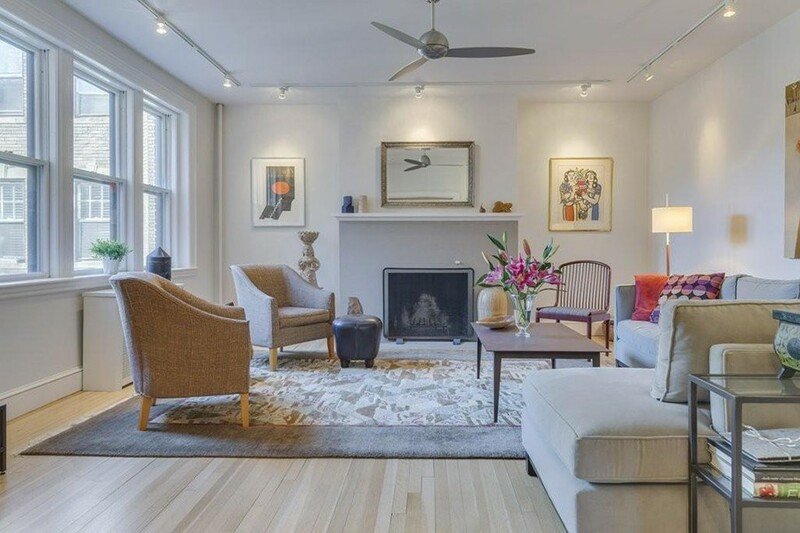 Track lighting in the living room sheds spotlight on works of art adorning the walls, while below, a limestone fireplaces warms the cozy gathering spot. 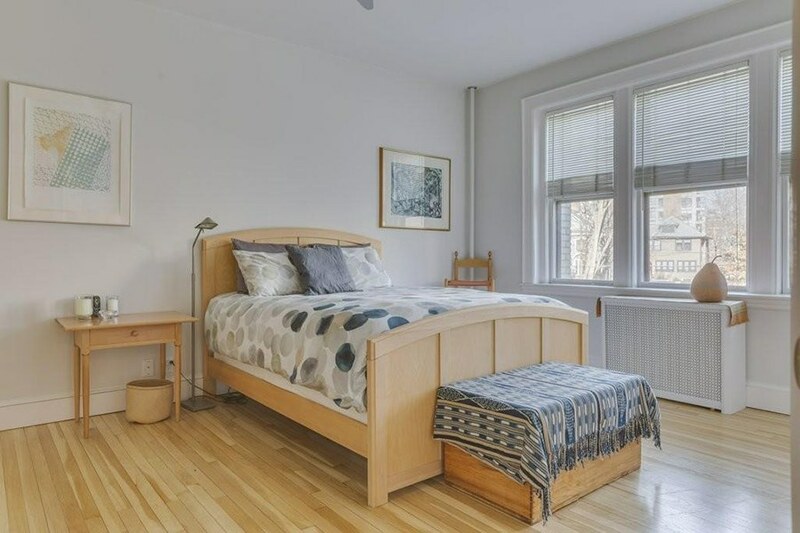 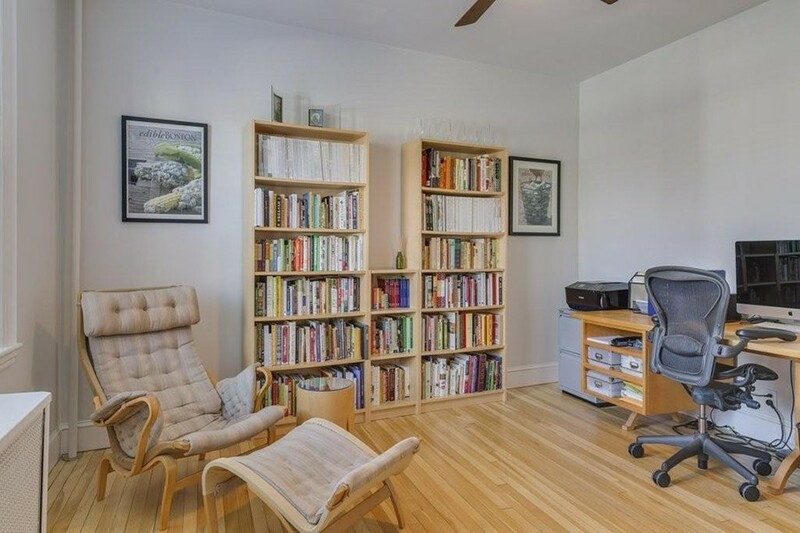 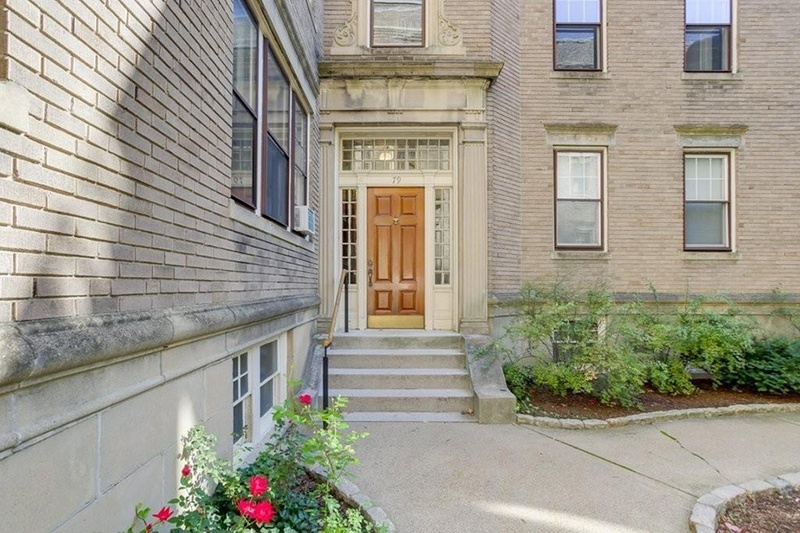 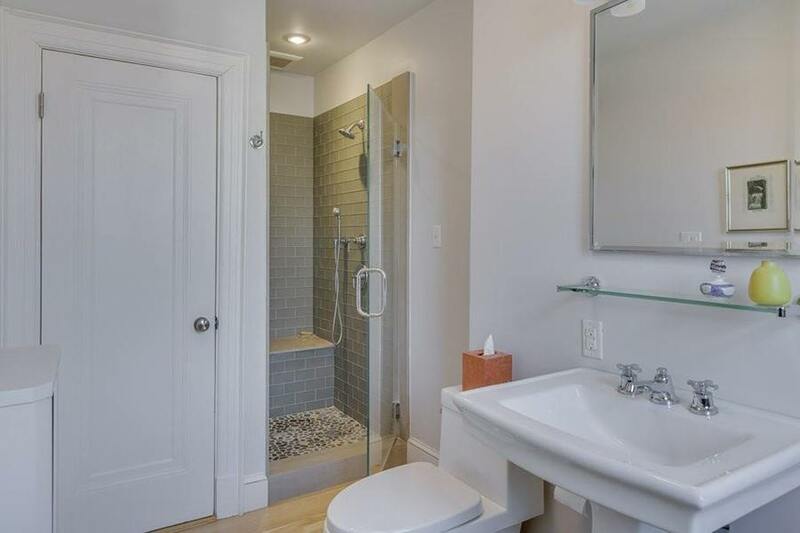 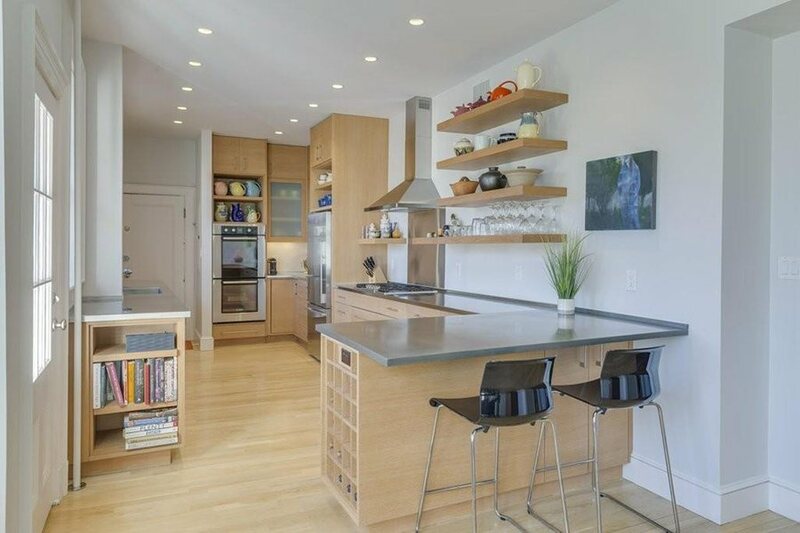 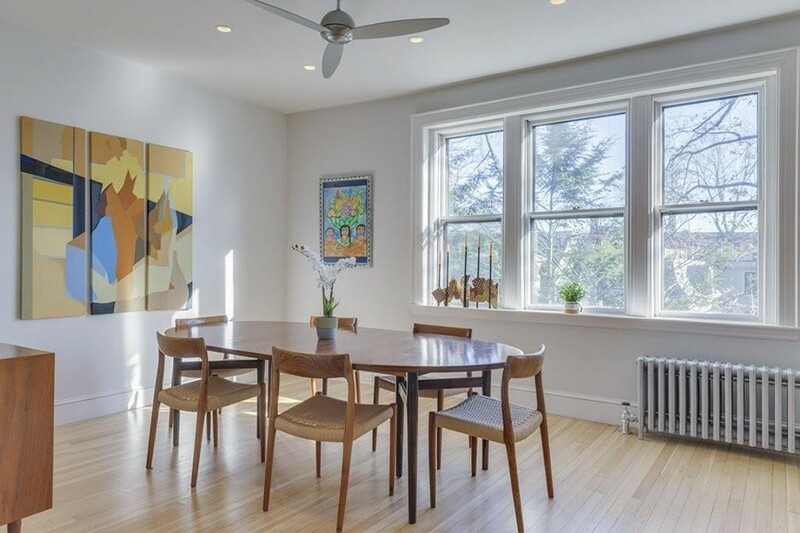 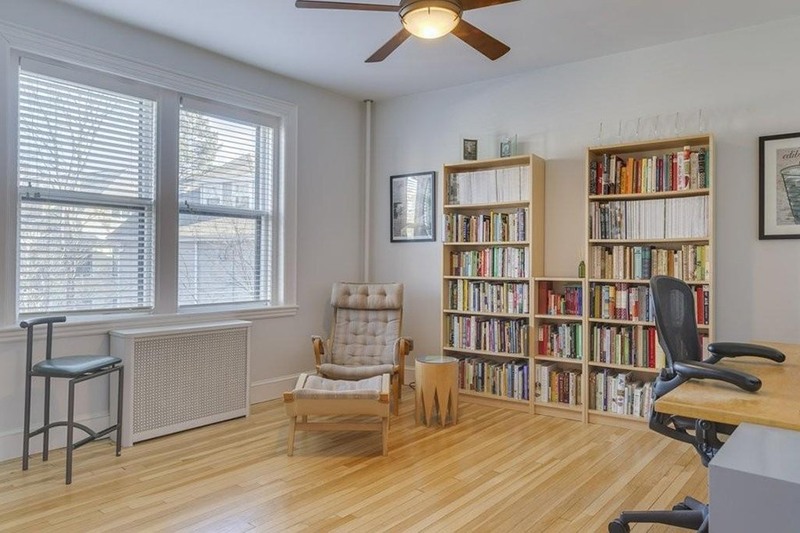 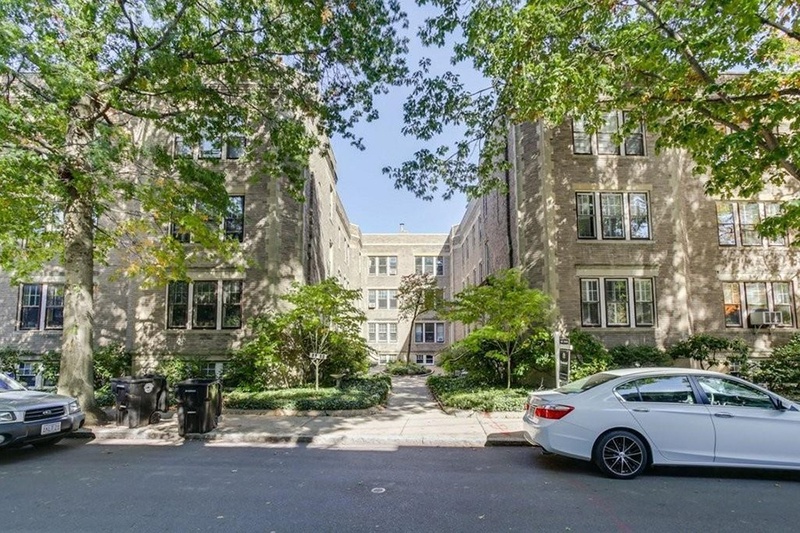 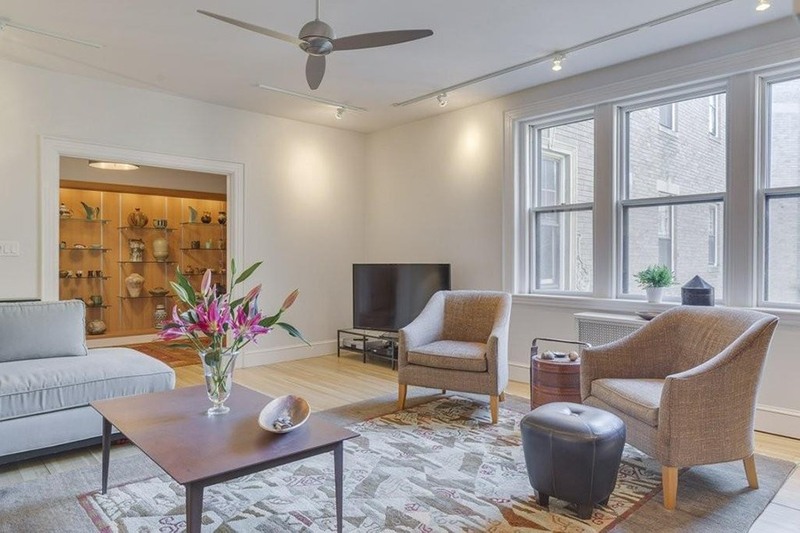 Other perks of the place include a deeded parking space, basement storage, and a prime location: mid-way between Coolidge Corner and Brookline Village. 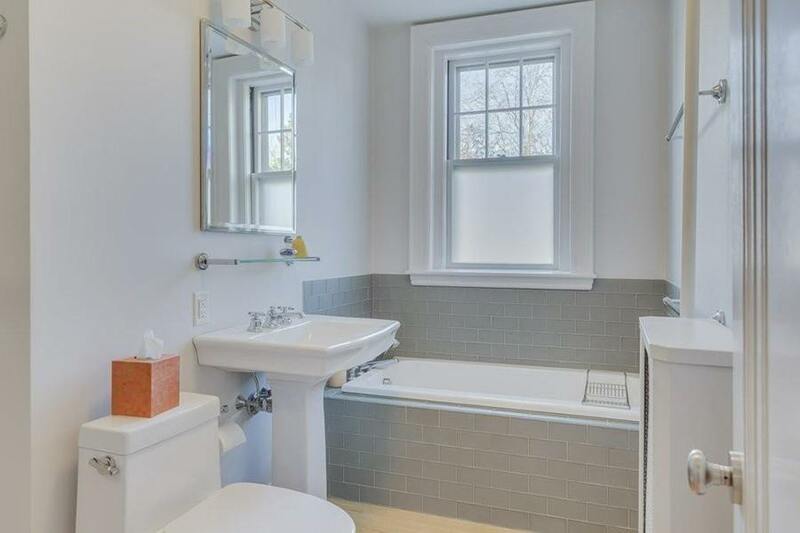 For information, contact Sheri Flagler, William Raveis R. E. & Home Services, raveis.com.